Let Ride-a-Bike Right run a fun and educational program targeted to different age groups within your site. All sessions are practical with children learning more about their bikes and having the opportunity to use them in a school setting. Bikes, trikes, balance bikes and training wheels are welcome. 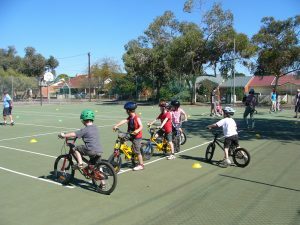 Children are encouraged to bring along their own bikes, but we also bring bring a range of bikes in different size for children to share during the 2hr session. Send an email enquiry for full details.